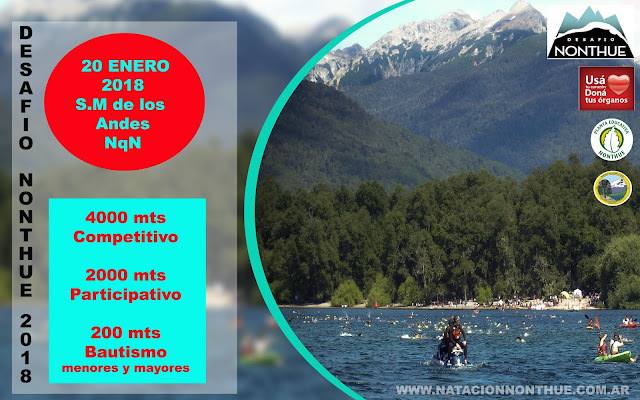 Courtesy of Ernesto Lambretch, Lago Lácar, Argentina. 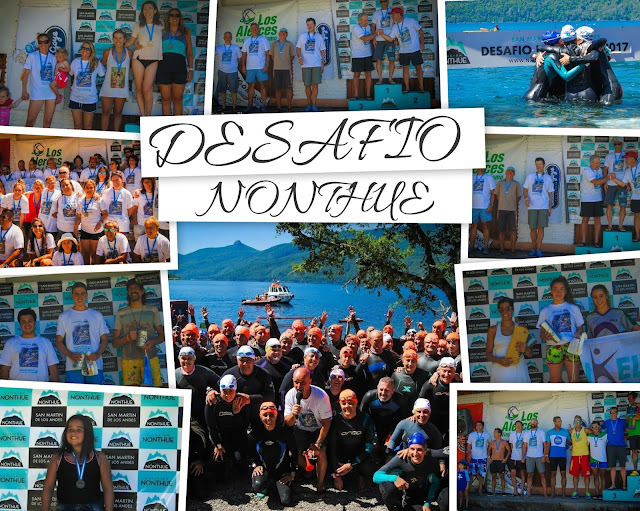 The next Desafío Nonthue (or the Nonthue Challenge) include two beautiful open water swims held on January 20th 2018 in the clear waters of Lago Lácar in San Martín de los Andes in the Argentine Patagonia. For more information on the 8th annual 2 km and 4 km races, contact race director Ernesto Lambretch at natacionnonthue@gmail.com or visit www.natacionnonthue.com.ar.